We asked and you weighed in — now it’s time to meet the winner of the Elevation Outdoors annual Top Adventure College poll! We started with 32 exceptional outdoorsy colleges throughout the Rocky Mountain region, and through five rounds of voting, narrowed it down to just one. Meet this year’s Top Adventure College. With over 11 locations spread out throughout the naturally blessed state of Colorado, it’s easy to see why Colorado Mountain College picked up top honors in this year’s poll. This school’s collective college district spans 12,000 square miles, with campuses in some of the top mountain towns in the state — like Breckenridge, Leadville, Rifle, Steamboat and Aspen. For students looking to get a hands-on education in outdoor recreation, CMC offers a Bachelor’s degree in Sustainability Studies and associate degrees in Natural Resource Management and Outdoor Recreation, and Environmental Studies. 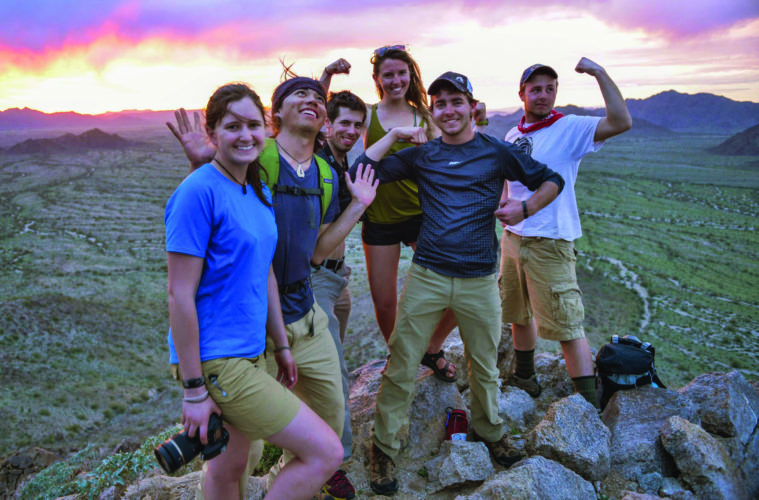 Colorado Mountain College also offers an Outdoor Recreation Leadership program to train students to become skilled leaders in a variety of adventure travel experiences. But perhaps the biggest draw to CMC’s strategically placed campuses in some of the most epic mountain towns in Colorado, is having nature and ample outdoor adventures at your finger tips — which attracts roughly 20,000 students each year to choose Colorado Mountain College. In close second place in this year’s poll is Boise State University: a college that calls the “City of Trees” home. Outdoorsy students can’t get enough of its location between Idaho’s Rocky Mountains and the Great Basin Desert. Tucked into the heart of Boise’s vibrant and historic downtown, Boise State University offers easy access to backpacking and skiing in the Sawtooth Mountains, more than 200 climbing routes at the Black Cliffs (just a short 20 minute drive from campus), and easy access to rafting and kayaking on the world-class Payette and Salmon Rivers. With such close proximity to outdoor adventure, it doesn’t come as much of a surprise that BSU organizes a steady stream of outdoor trips and clinics throughout the year, including custom trips and a Wilderness First Responder Certification Course. The school also includes an outdoor rental center where members and non-members of the Outdoor Program can rent a variety of equipment and gear for different outdoor adventures.